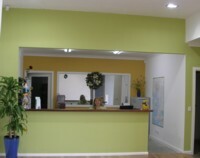 Bayswater Showroom Front Counter - After. Fresh, earth, natural colours. Bayswater Showroom Front Counter - Before. 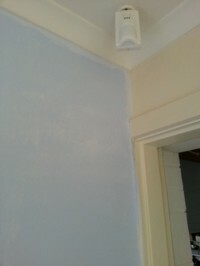 New plaster and old paint. Bayswater Showroom Front Counter - After. After. Fresh, vibrant colours. 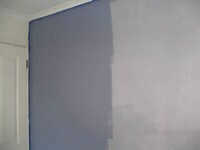 Blue Violet feature wall - Right side first coat, left application of second coat. Deep even colour, pleasant smell. Dubron white #414 with Ura Blue Viloet pigment #410. Right side first coat, left application of second coat. Deep even colour, pleasant smell. 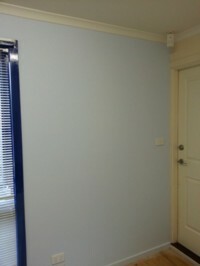 Capri blue wall and White ceiling - The eco paints dry matt and are breathable. 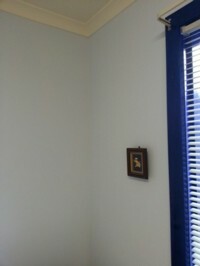 Dubron wall and ceiling paint white #414 used for ceilings and mixed with Ura pigment paste #410 in Capri Blue for the wall. 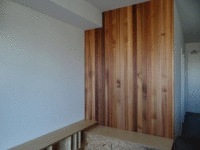 Matt finish, breathable. 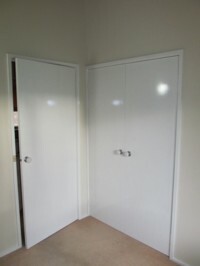 Doors and frame treated with Vindo #629 natural oil paint, white gloss. Walls with Sunny Yellow #410. 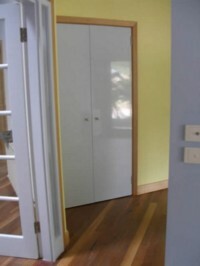 Wardrobe doors - A gloss finish can be achieved with the Vindo. 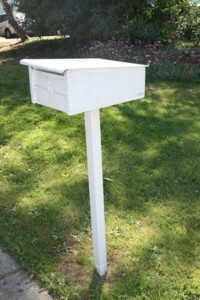 Letterbox - Vindo can also be used externally. Vindo can also be used externally. 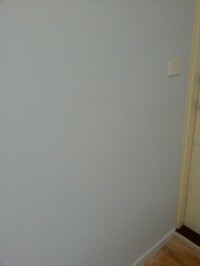 Bayswater Showroom - Door and skirtings painted with Vindo natural oil paint #629. 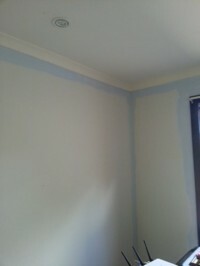 Walls painted with Dubron and Ura tints. 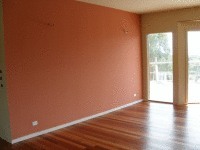 Door and skirtings painted with Vindo natural oil paint #629. 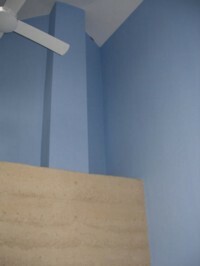 Walls painted with Dubron and Ura tints. 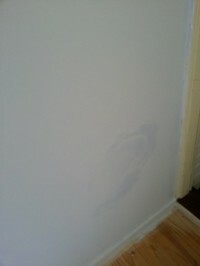 A large hole in the plaster wall caused by moving furniture, was repaired and primed. 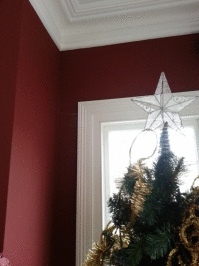 Cutting in with no tape gives you the time to concentrate on the task at hand. That’s it for the day, having rolled on the paint, it now has the time to start to dry. 4. Repair covered nicely, but whilst wet still showing marks of where it was. Next day, no sign of the repair and no roller marks. 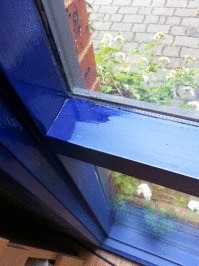 ...and who would guess Angela’s favourite colour is blue? ?